Registration to Stenhouse is optional, just click above to continue to the online book preview without registering. 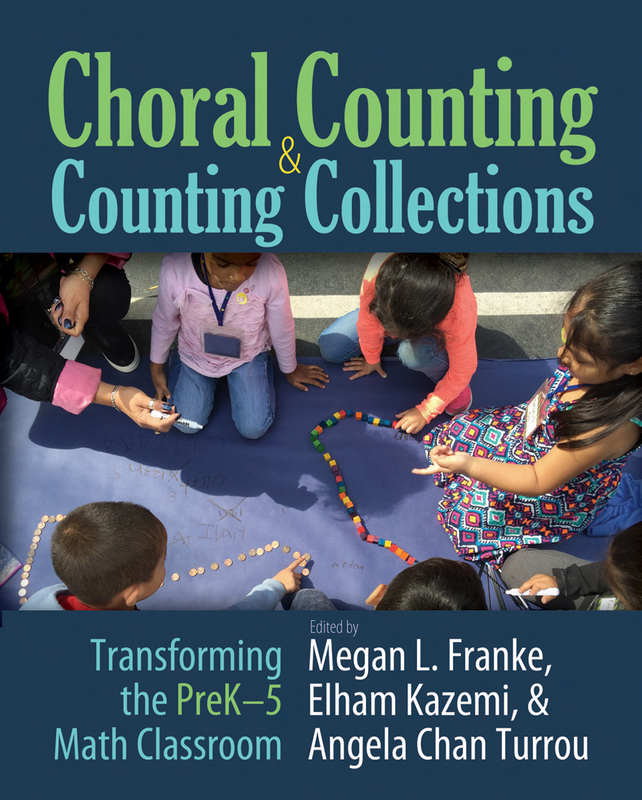 This influential book inspires preschool and elementary teachers to experience the joys and rewards of regularly using two activities—Choral Counting and Counting Collections—in their classrooms and in their partnerships with families. It paints a vision for how deeply and creatively children can engage with ideas of number and operations and mathematical sense-making through counting. In stock. Free ground shipping. No minimum. Megan L. Franke, Elham Kazemi, and Angela Chan Turrou have collected the wisdom of mathematics teachers and researchers across the country who explore activities that are at once playful and intentional, simple and sophisticated. For teachers who want to jump-start student participation and deepen mathematical understanding, this can be your go-to guide. how to facilitate collaborative activities with multiple entry points and multiple ways to be successful. Teachers will see that while the activities stay the same, the mathematics deepens over time and students’ learning evolves. Let counting be a gateway into your students’ mathematical insights. You might be surprised at what you learn! Megan Franke, a professor of education at UCLA, supports and studies teachers as they make use of research based information about Cognitively Guided Instruction (CGI), the development of children’s mathematical thinking. She works with students, teachers, and schools to challenge inequities and create opportunities for each and every student to learn with understanding. Elham Kazemi is a professor of mathematics education at the University of Washington. She works alongside teachers to create thriving mathematical classrooms centered on children’s mathematical thinking. She is deeply committed to building university-school partnerships that tackle social and academic inequities and create strong professional learning communities for teachers to learn from and with their students. Angela Chan Turrou, a clinical faculty member in the UCLA Teacher Education Program, works to support teachers across their careers to challenge narrow ideas of what it means to do math in school and create meaningful classroom experiences grounded in children’s mathematical thinking.